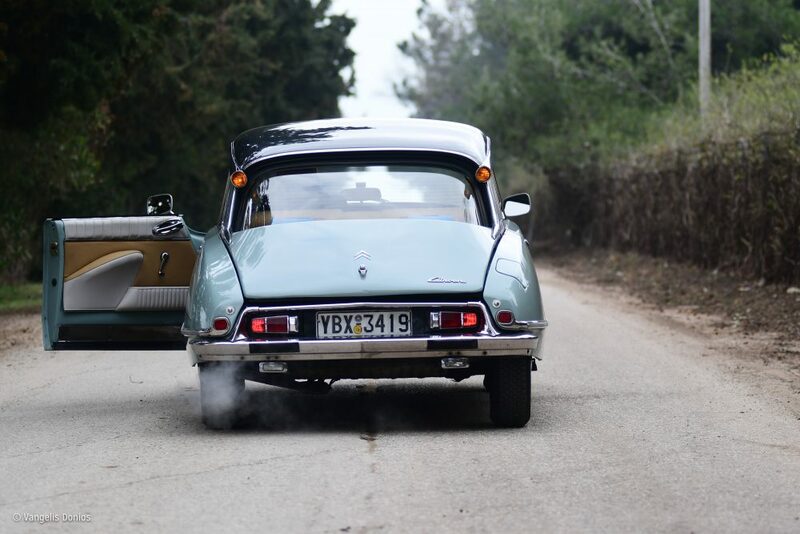 One of my very first memories in life (I think I was about two years old, but things are expectedly a bit hazy back then) is me being accidentally locked inside a lime-green early-’50s Opel that was abandoned near a playground where me and my older brother used to play. Somehow I’d escaped everyone’s attention and found my way to the back seat, closing the door behind me. Everything looked powder-beige in there, coated as it was with ages of accumulated dust, but I vividly remember not being scared of enclosing myself in a confined space, simply because everything looked so damn beautiful in this particular one. I was having a blast. Mesmerized by that interior scenery, I didn’t notice my dad was desperately trying to open the door and get me out, alas, in vain. The sound of breaking glass rippled my perfect moment, and then a set of hands pulled me out of it entirely. That was it. I was in love. 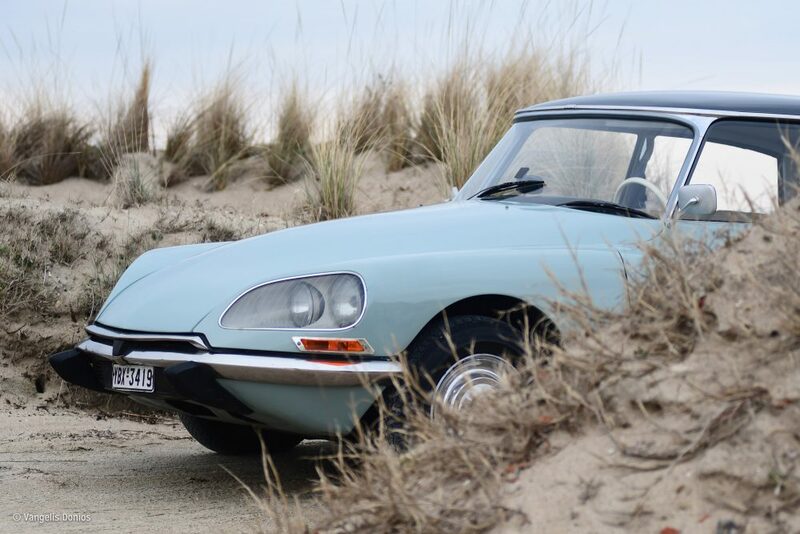 I packed them, saw the car, bought it, and became the owner of a 1974 Citroën D Spécial. 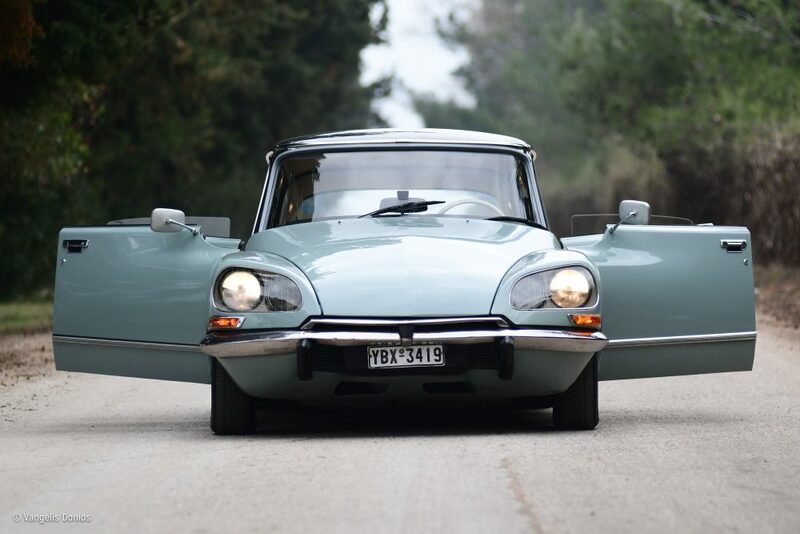 One doesn’t really need an argument to back up the decision to buy a well-maintained DS, but I can’t help mentioning the sublime ride quality they offer, with that out-of-this-world ultra soft suspension that gives it the famous magic carpet moniker, or its stunning looks, or the acres of space inside—especially in the back—or the soufflé-soft seats. It’s made to carry passengers in stylish comfort, and as I use it for job (I am a chauffeur), it’s really the perfect car for me. 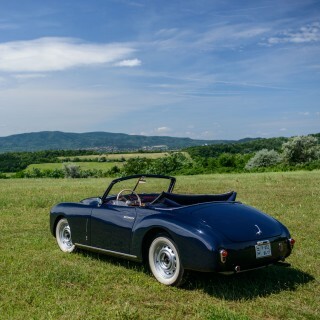 Better yet, I am only its second owner, the first being a lawyer who kept it in his garage throughout its life, lovingly caring for it as if it had a soul (which of course, it does). When he passed away a couple of years ago, his son decided to sell it, and I turned up to pick up where his father left off. 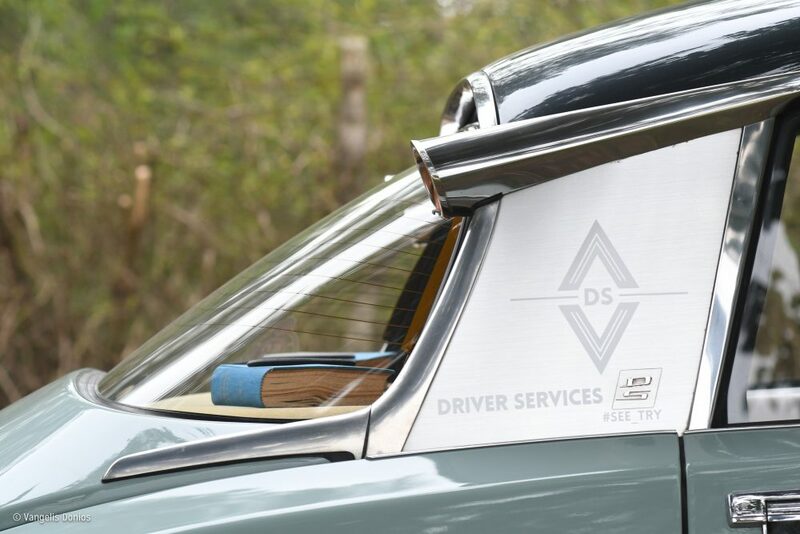 The D Spécial was a replacement for the more entry-level ID version of the DS, and mine has been upgraded to Pallas spec (the luxury trim level of the DS) to meet the requirements of my job, with a few gadgets added to meet the needs of modern passengers. 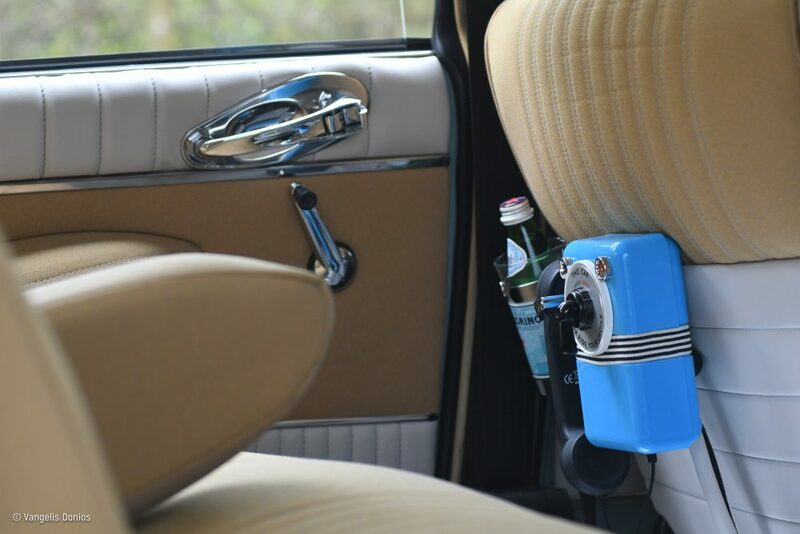 But since modern tech never looks at home in a vintage car, I had to convert the added amenities to a period-correct appearance—function and form, as they say. 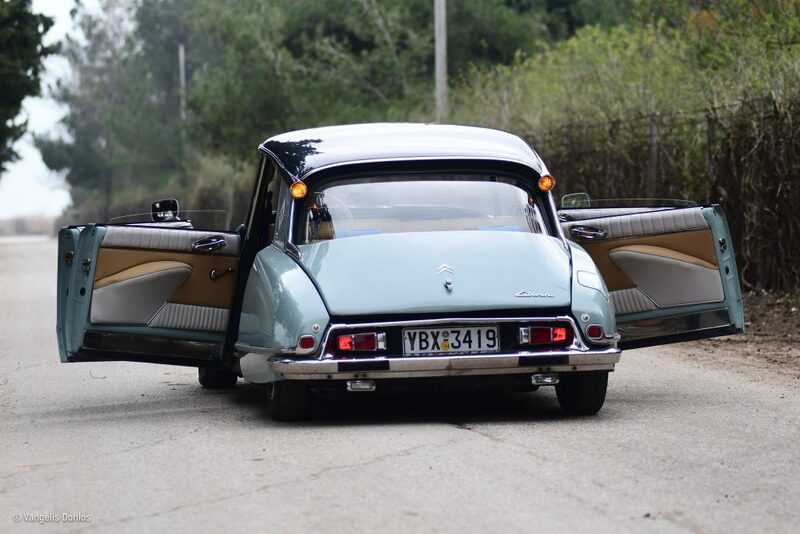 My clients seem to agree with my sentiments toward the car, and really, what’s not to love about a well-sorted DS? I have been infatuated by its looks ever since I can remember, and when I started reading about the amazingly complex way it was engineered, I knew that there was nothing like it out there. I never grow tired of mentioning how soft the suspension is (can you tell? ); the hydro-pneumatic system simply turns roads into liquid. 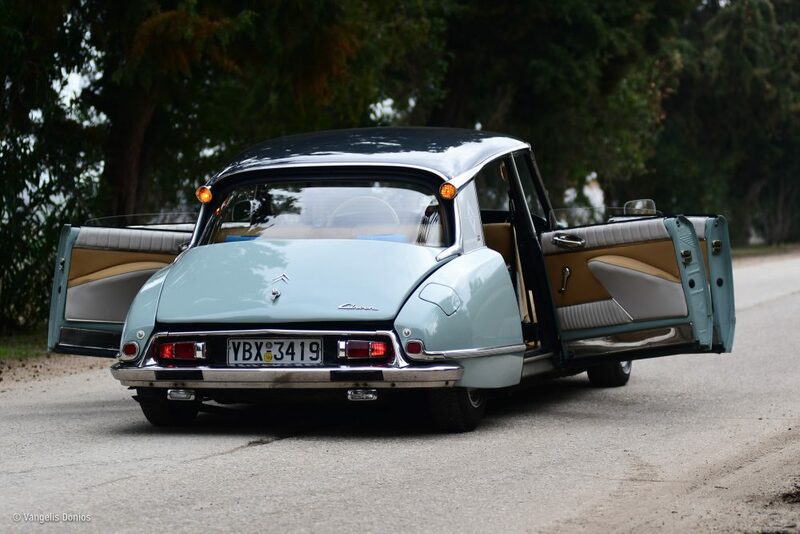 It’s also the first time in my life that I want to sit on the back seat all the time, instead of driving it, despite the fact that driving a DS is so… (I take a pause here, trying to find what type of “so” it is, but I am unable to find the right words). Unique is an apt description, but it still seems to fall short. 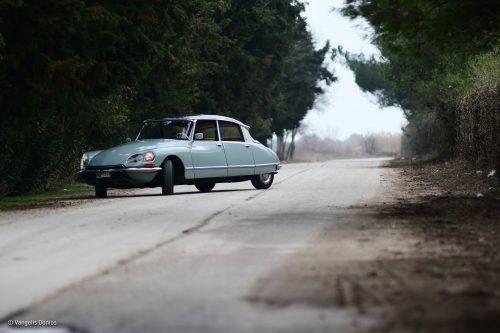 Regardless of the capacious rear seats that almost require shouting to communicate between passenger and driver, I find great pleasure as its pilot with that gorgeous single-spoke steering wheel in my hand, the epitome of Citroën’s love for doing everything in their own delightfully unorthodox way. A piece of art that makes a happy hizz sound every time it’s back in its straight position (it carries the hydraulic pump’s sound from deep within the engine bay since it’s just a hollow tube), it commands not only the front wheels but also the swiveling headlights that illuminate the way on winding roads, giving the car a majestic feeling when operated in the dark—”Trust me, I know where we’re going,” it whispers. 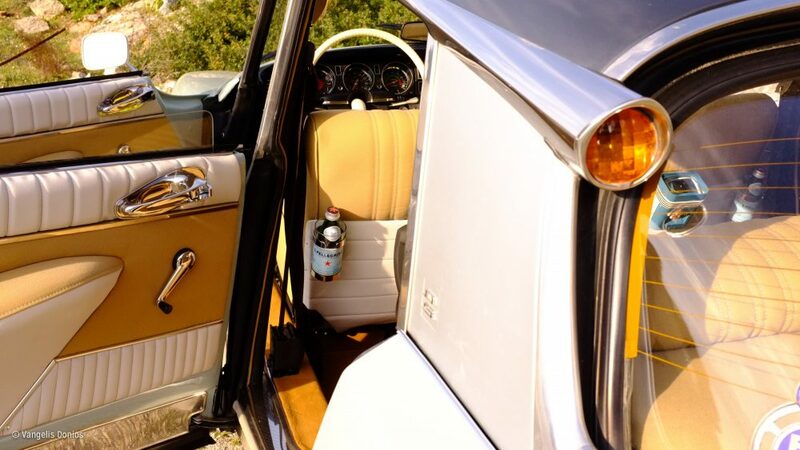 Flick a little white-knobbed lever, and the body will rise or sink, depending on the road conditions or your mood. Needles to say, I am always tempted to play with it when I park, enjoying the dropped jaws of onlookers. Getting to know the car when I first took possession of it, I was amazed by the feeling little details it has. For instance, a simple flick of the finger honks the horn, and with a little bit more pressure on the pencil-shaped lever, the air horn blasts with a smile from the lights. Who needs that, really? But it’s there, honoring the fact that beauty in life lies in things you don’t really require. 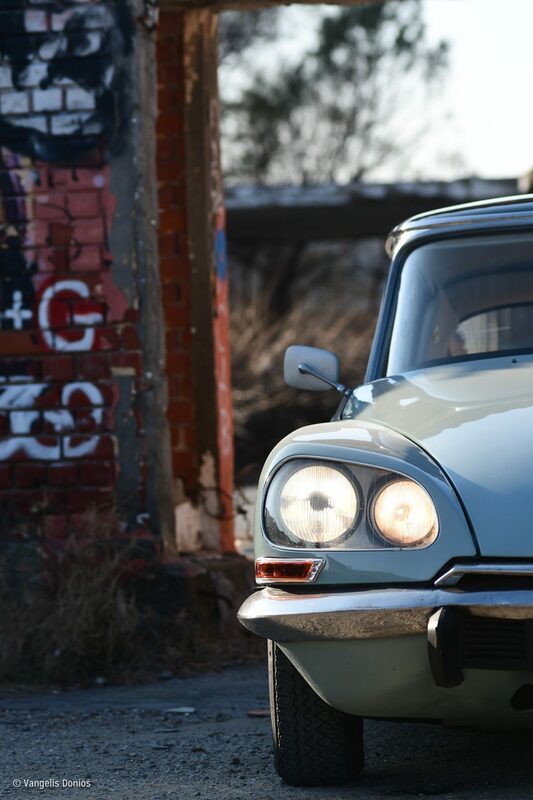 Jaeger instruments and Marchal headlamps? Feast your eyes as if you are window shopping on Oxford Street’s finest storefronts, all the while listening to the tic-tic (not tic-toc) of the clock centered on the dash. 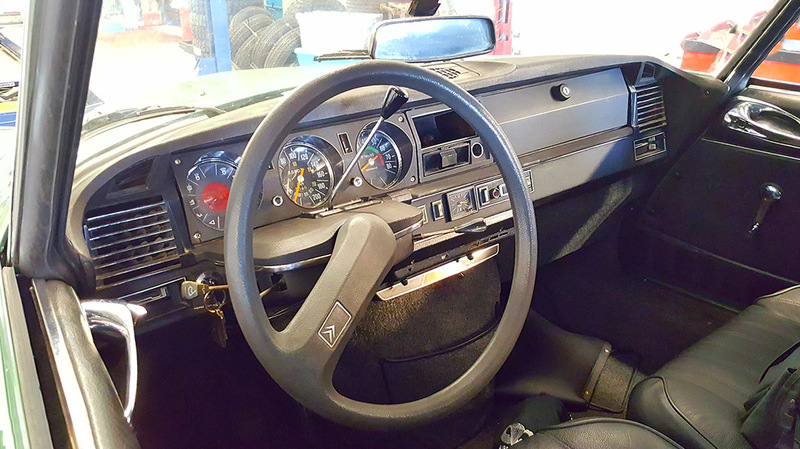 You can really hear it, not because the device itself is loud, but because the rest of the car is just that quiet. 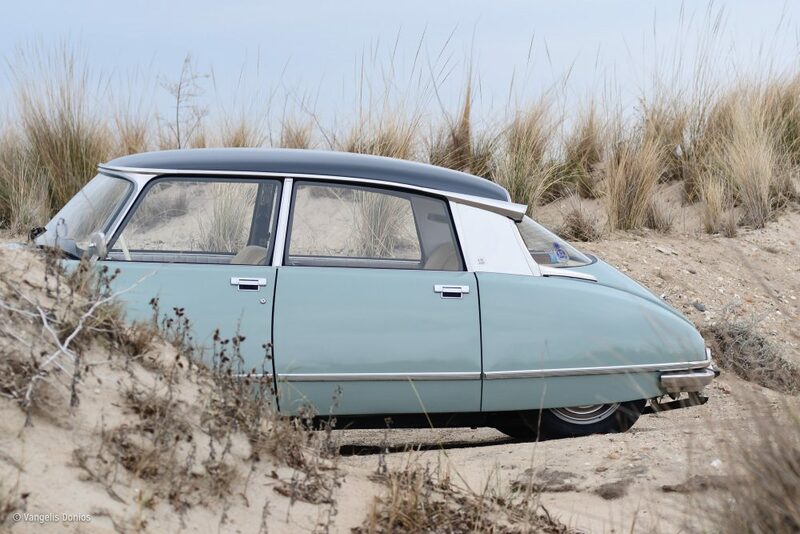 The absence of rough noises that accompany so many older cars makes the Citroën feel very modern in its own way, swaddled as you are in silence and softness—it is exceeding gentle on its passengers. 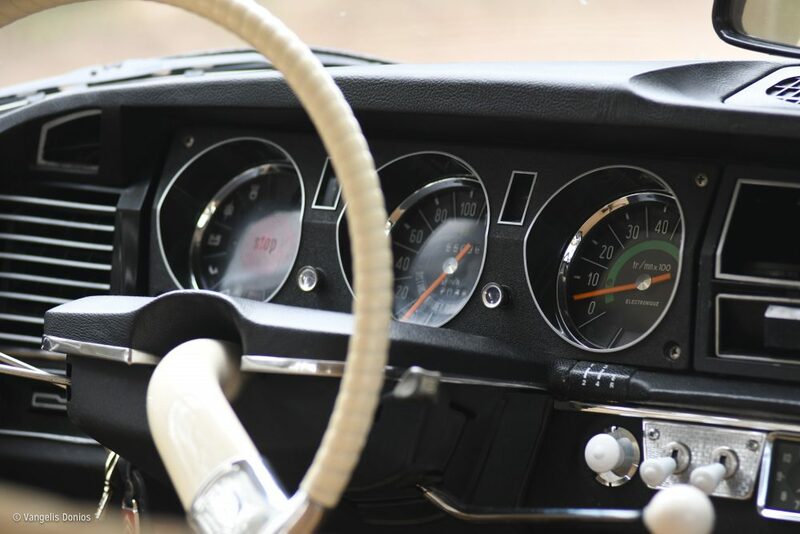 You do hear something besides the clock though, and to me it’s a seriously addictive sound: the clicking of the pump, properly ticking every 30 seconds or so, as it keeps the car afloat on its novel suspension. Should I shut up now? Are you falling in love with it like I did so many years ago? Well I haven’t said anything about its looks yet! 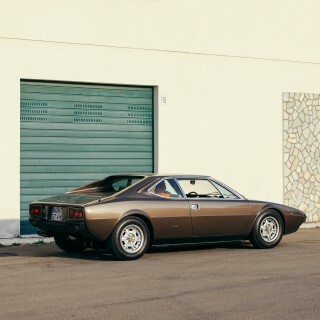 Bertoni was something of an aesthetic, and it’s hard to find fault in his creation, though it’s easy to pick a favorite: mine is the C-pillar and the roof-mounted indicator, so beautiful that its almost sad that it’s hidden from view you when you’re inside the cabin. And then there’s the roof, viewed from the interior as a cathedral dome, and looking like a tucked french beret from outside. It’s funny, I am drooling over it as if I don’t own one, but I do. Go figure. The thing with DSes in Greece is simple: you don’t see them. 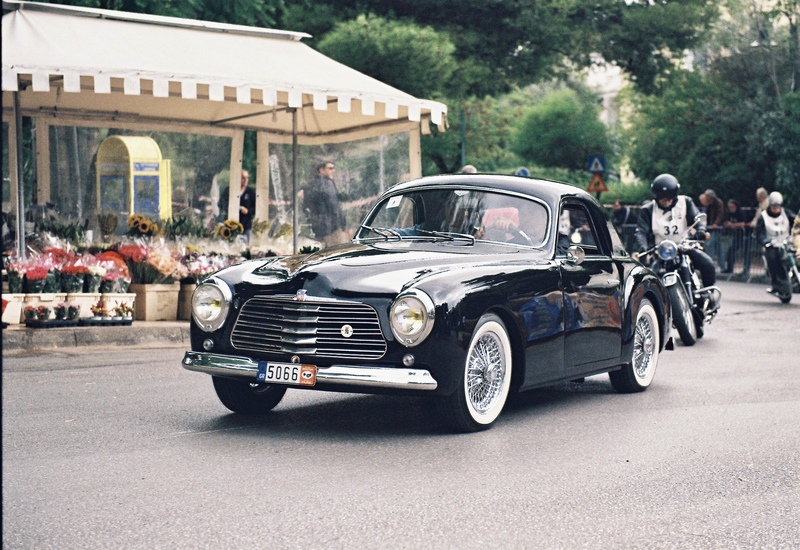 Most of the owners only use them for a Sunday drive, if anything, and not many of the rest are roadworthy. The few that are, have the chance to feel the tarmac only every now and then. 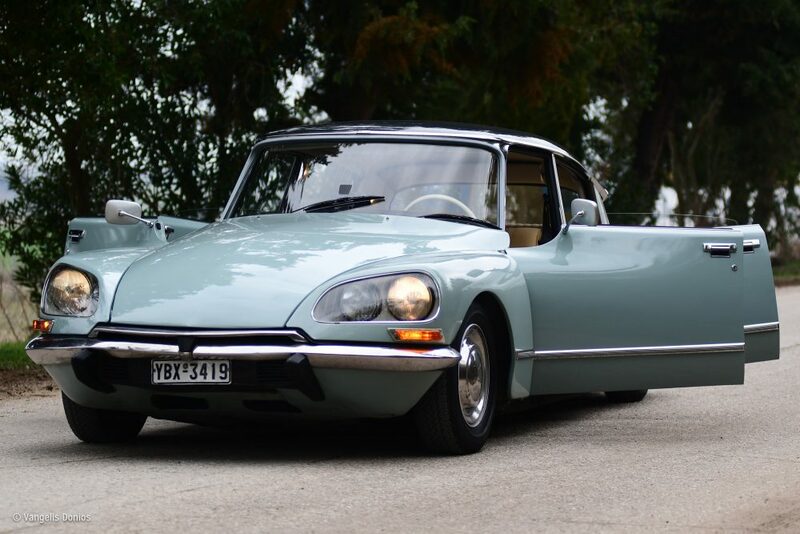 So one might say that owning a DS here is an exclusive, expensive sport, only for a handful of a lucky few dedicated to this striking machine. My car is different than these. It’s open to the public, as it is my job to offer it as such. Not to be driven, of course, as I am the only one with that privilege, but to be enjoyed in the way it was designed to be: as a passenger. 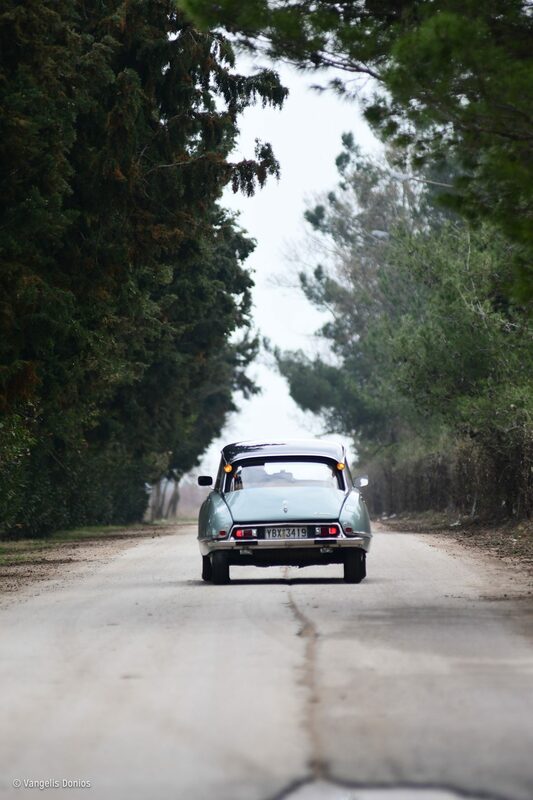 So it’s not so much about where I love to drive it in particular, it’s more about the fact that it is oh so rewarding to see people’s reactions when they have a ride in it. 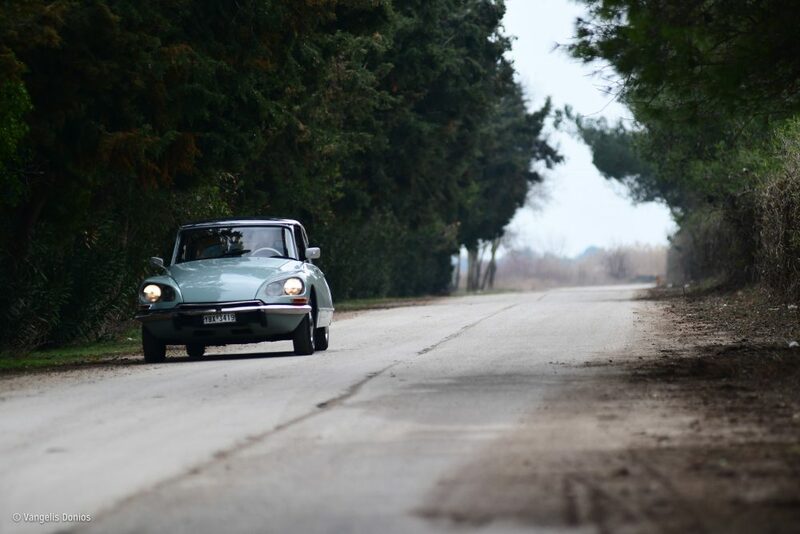 And this is what I enjoy the most: sharing the delights of the DS. 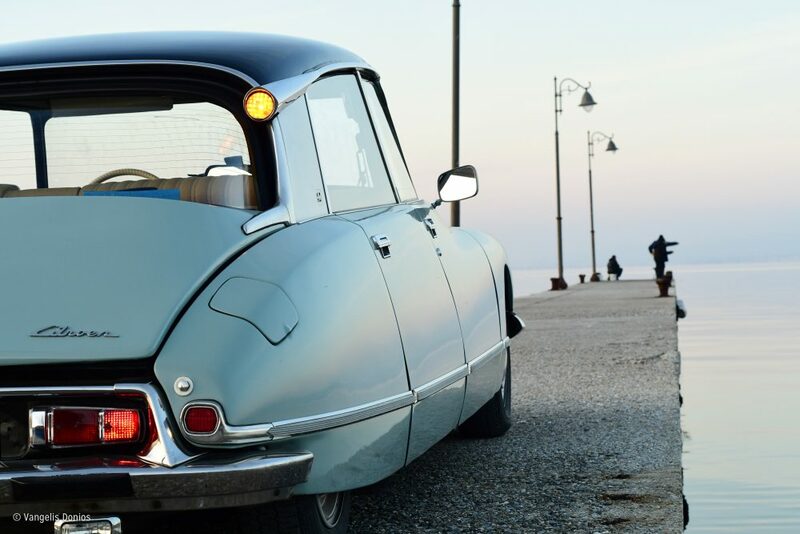 But life sometimes has a funny way of making dreams come true if you stick with them long enough, and my boyhood dream was all about owning a DS at some point, as well as spending my summers in the beautiful seaside village where my grandparents own a restaurant. Everyone in the family loved that place, and the truth is that I have the best childhood memories because of it. But all good things come to an end, so when my grandad and grandma grew too old to be able to operate it any longer, my family closed and eventually sold it, a few years after my grandfather passed away. It seems that my grandmother had a dream for me though: she wanted me to be able to start my own business one day, doing something that I loved, like she and my grandfather had. So I came to discover that when she passed away, she’d ensured that some of the money from the sale of my childhood paradise was passed on to me, under the condition that I used it to do exactly what she knew I always wanted to. 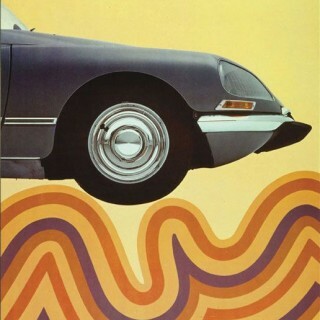 Enter the DS. Thanks a lot. Glad you liked it. That device is an added retroguise GPS screen. Take it from a fellow Greek car guy, passionate about wheels since childhood, like a birthmark. 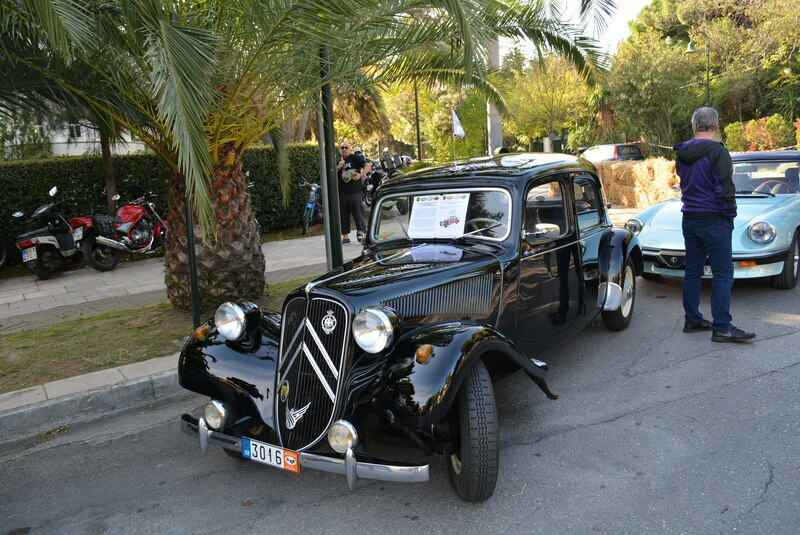 To boot I own an original condition [FIVA A/2 classification] 1956 Citroën Traction Avant, as well as another rare and quite elegant French lady, a 1950 Simca 8 Sport Coupé. Do explore my weblog http://www.3cg.gr and next time you guys are in Athens, do get in touch. 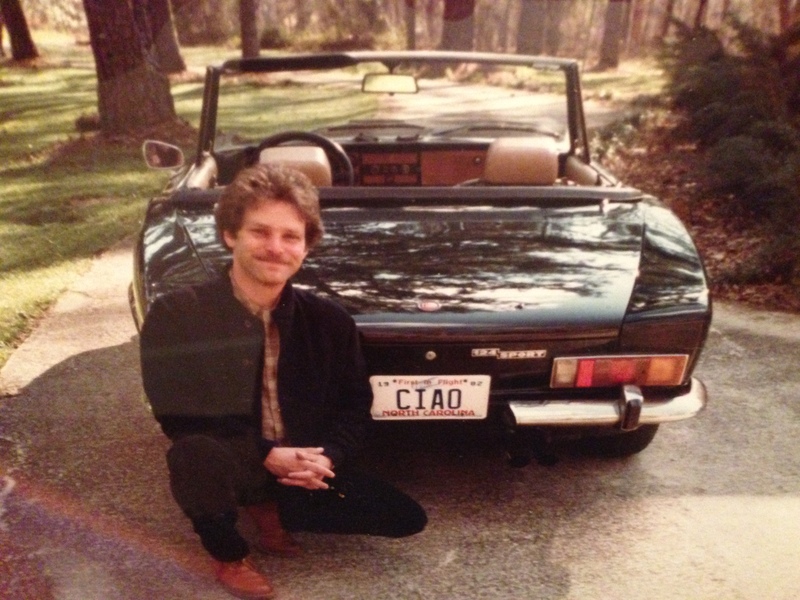 Beautiful and inspiring car story. Although I like to admire some collections, nothing compares to love for a single machine. 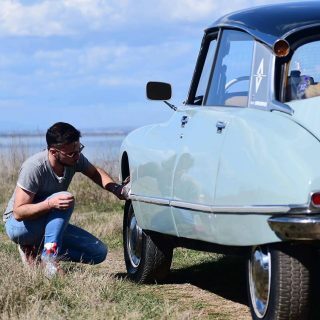 beautiful car: grandmas are the best. Inspiring. I am in tears. Isn’t it lovely to have such magic in one’s life? Thank you for that! It is indeed! Absolutely wonderful read and to say Greek is your first language only adds to the beauty of this article. The live you feel for it was emulating from the words and I felt it. Beautiful car. Reading about it was poetry. Thank you very much for your kind words, Simon! It feels great to know that you enjoyed! Not many of us have that chance! It is rare as hen’s teeth, but it does happen! Thanks a lot! All the best to you from me and Henri (the DS). Thank you very much! Just read the article, wonderful! I think we are going to have a coffee with LHM when the season is over. I too have loved the DS since childhood. When I became an adult I thought the chance to ever own one could never come. 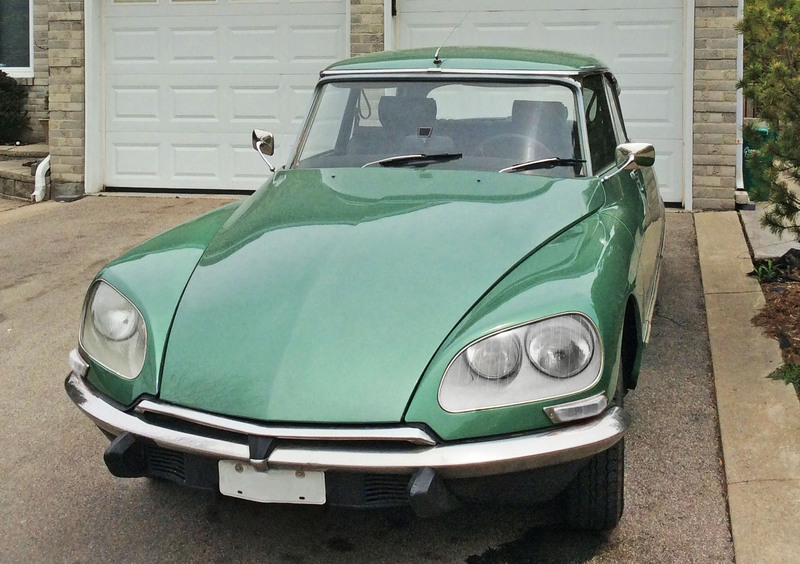 A year ago I got a French spec, 1974 DS23 fuel-injected Pallas car with the wonderful Citromatic semi-auto transmission. 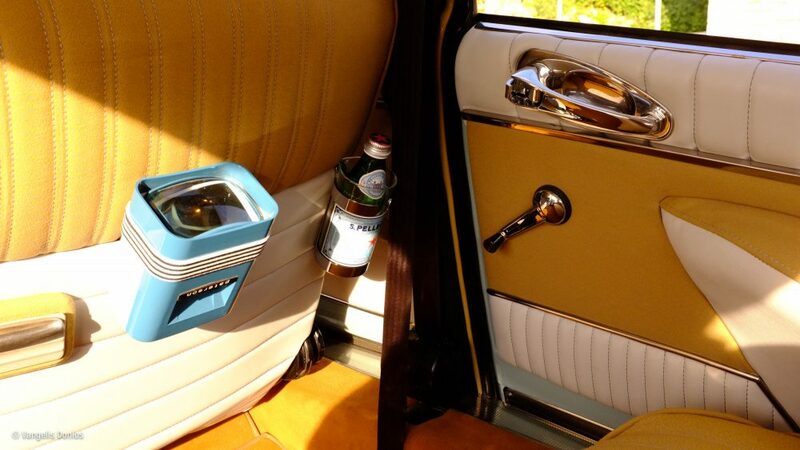 I found and installed the CoolAire system, and redid the leather interior with one from Enzo Forgione in Bolzano. 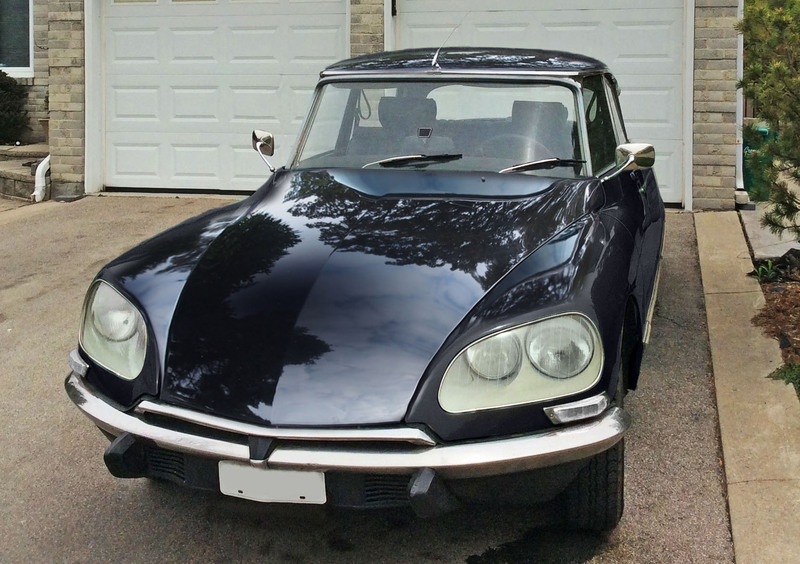 Next Winter I’ll repaint her in an elegant jet black paint and she’ll be my dream DS come true. She will be a beuty! Same photo, Green vs. Black (Photoshopped). Green looks like the vinyl in a 1950’s diner. Black looks cool and elegant. I like the black, but YMMV. Such a well written piece. 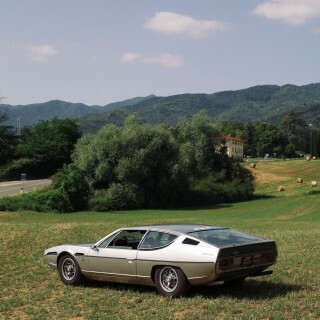 Despite the wit and clever phraseology, what really comes over is Vangelis’s passion for this great car, undiminished having realised his dream and magnificently turned it into a reality. 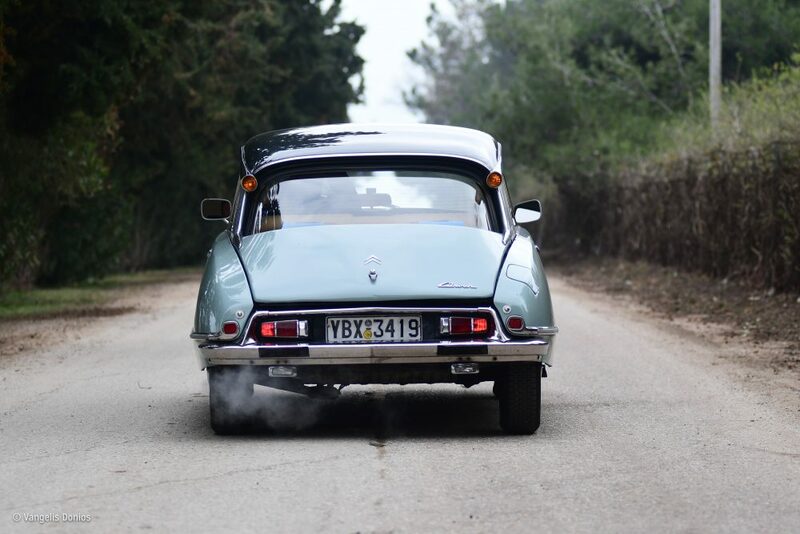 I had the absolute pleasure of having a ride in this car, with its deserving owner, who drove it with deft efficiency on narrow, twisty Greek roads, with darting mopeds and laden lorries pouncing from all sides. 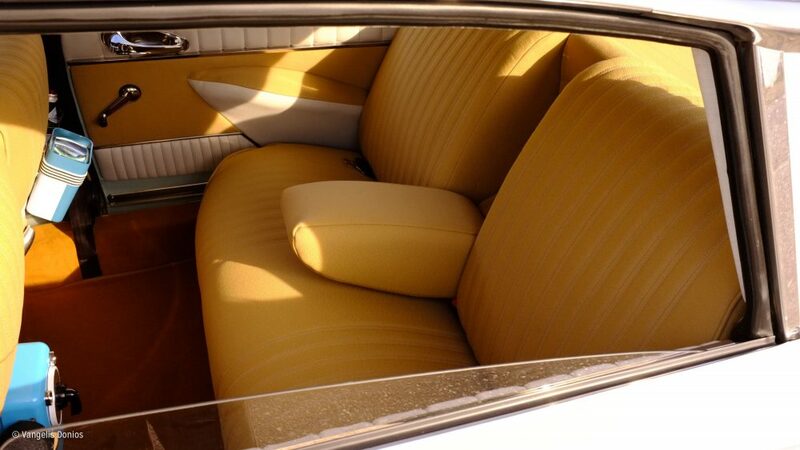 This car is as comfortable as a Lexus and as classy as a Bentley. Thank you Vangelis for the privilege and experience. Mr Taylor, couldn’t be happier reading a comment anywhere. Thank you very much. The pleasure was all mine, special passengers in a special car. 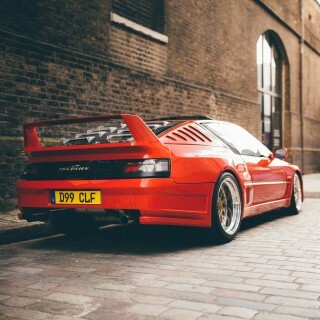 This is, by far, the most beautiful car ever made. 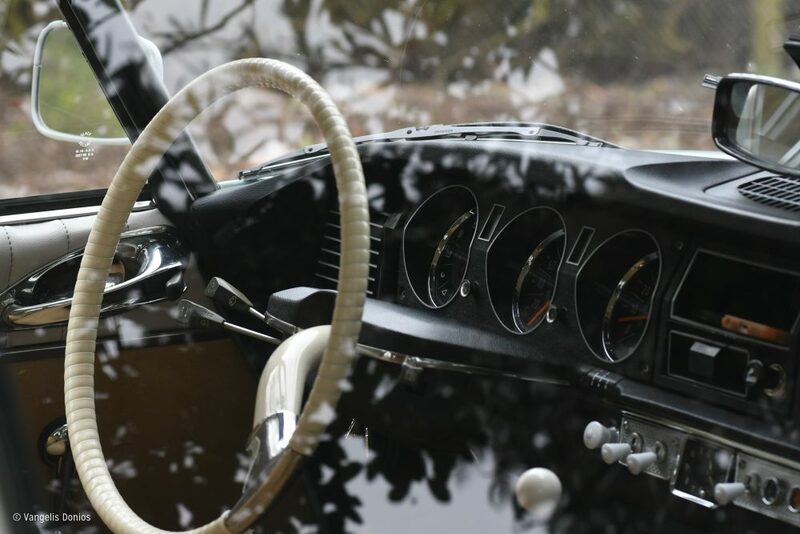 Only the Jaguar E-Type comes close. 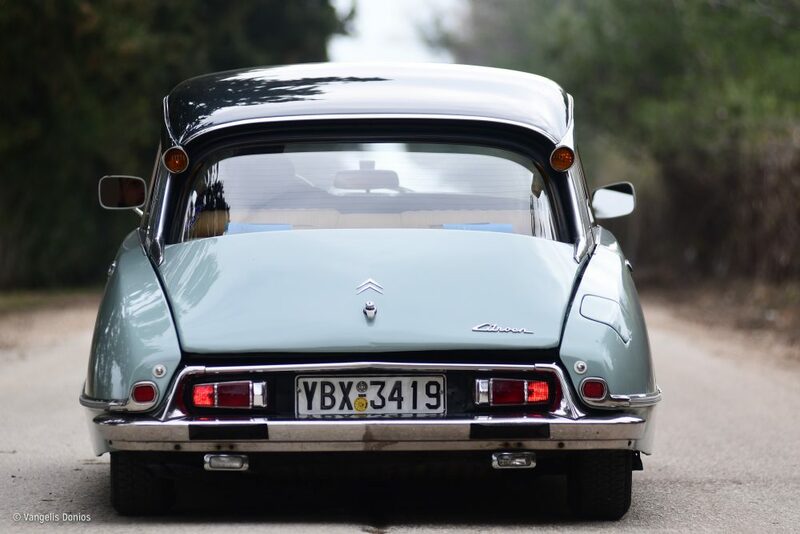 I have loved the DS since I saw it in Gattaca. 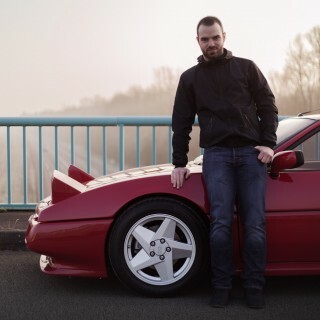 Excellent story and I love that the car is put to good use as well. I haven’t seen that movie, even when many people recommended it to me. But knowing that there is a DS involved, now I MUST watch it. Thanks for the push. Thank you very much for both remarks! Wonderful article. 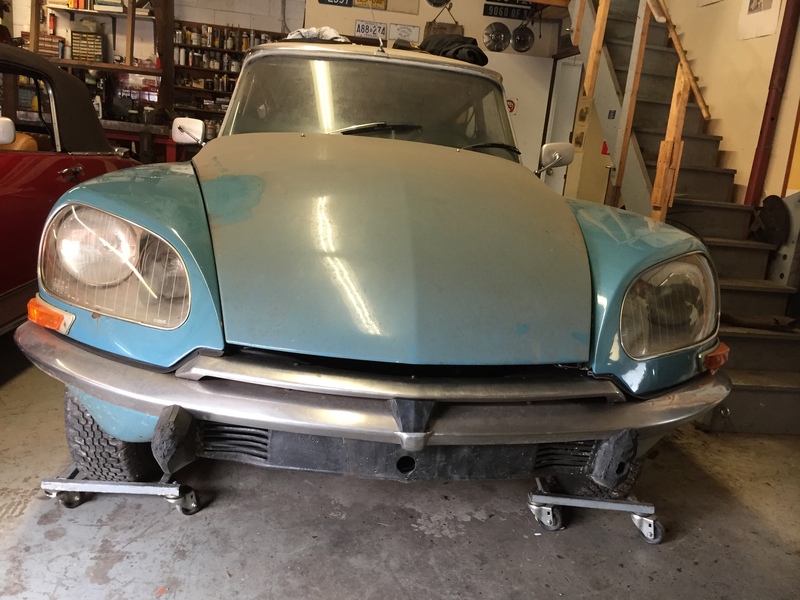 My new to me 69 DS Pallas is undergoing a much needed refurbishment. I too have lusted after the Goddess all my life. Thank you very much! Give it lots of TLC! Ask for tips, will be glad to provide. Where in Greece? This is my wife’s favorite car , if I am ever near I would love yo take her on a ride! Your wife has great taste! Mykonos in the summer season, Thessaloniki in the winter. Great piece, thanks for sharing. I too have a DSuper but in Texas. Rare here as well and always a pleasure to drive. Good Story. A friend of mine had one in the early 1970s. even the same color. I asked why…then I rode in it. So smooth I went out and bought a SM! Truth is words are not enough to describe it. I loved reading the story of your DS. I’m so glad you shared it. If I should ever be in Greece, I hope to have a ride. Thank you very much, beautifull things are to be shared. Stories, cars, chocolate. That is a huge compliment, thanks you so much! I am thrilled you are thrilled!